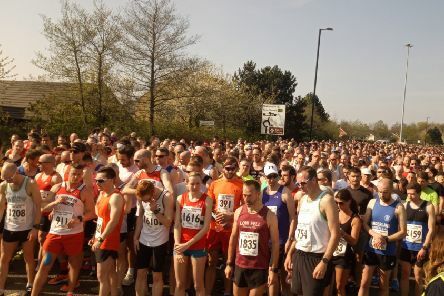 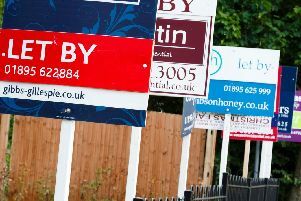 Nearly 2,000 people took part in the annual North Tyneside 10k Road Race, with thousands more cheering them on in the sunshine. 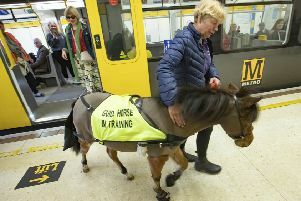 A unique visitor to the Tyne and Wear Metro proved they were no one trick pony. 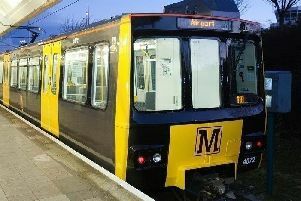 Metro passengers are being encouraged to get on board an initiative. 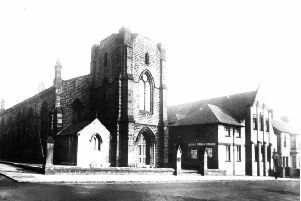 A notice from September, 1867, stated that Holy Trinity Church in North Shields, though erected little more than 30 years earlier, was in a state of great dilapidation. 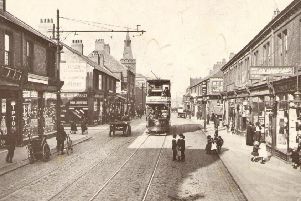 Richardson’s History Of The Parish Of Wallsend describes Philiphaugh as the site of the archaeological find which proved that the town had been the Roman garrison of Segedunum. 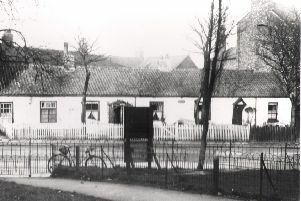 There was a block of cottages that extended to the Black Bull Pub in Monkseaton, called Coronation Row. 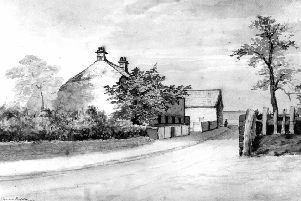 In June 1881 George Pelham Dixon produced a watercolour sketch of the buildings at Spital Dene Farm in King Edward Road, North Shields. 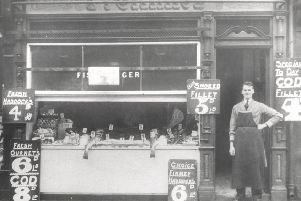 The National Egg Market, at the corner of Woodbine Avenue, dates the photograph at about 1916. 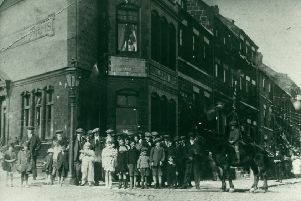 Standing outside the Fat Ox Hotel, the photographer looks down the section of Whitley Road that used to be known as Front Street. 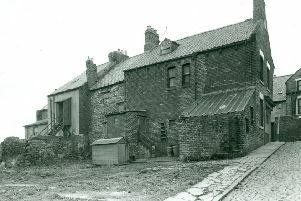 Seen in April 1962, these Cullercoats cottages were 12-17 Back Row. 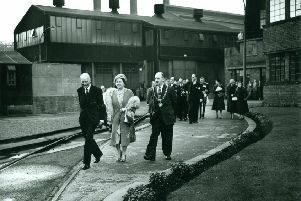 The Queen Mother visited Pametrada on November 1, 1956. 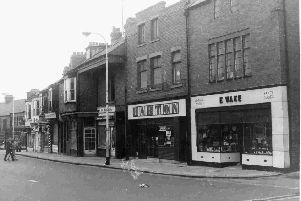 After serving in the Northumberland Fusiliers during the First World War, Ernest Wake can be traced as a boot repairer at St Ronan’s Avenue, Monkseaton. 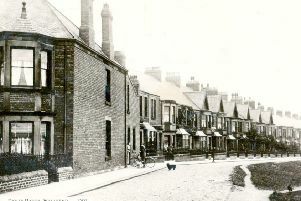 The Aberllolwyn Arms in Milburn Place, North Shields, is seen from Dock Road, looking towards Middle Street. 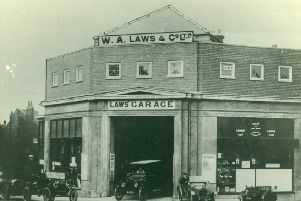 Pictured about 1928, this Wallsend shop belonged to Percy Robert Garrod. Earlier in the century it can be traced in the occupation of Timothy Delaney, and later Lanirus Bomhom. 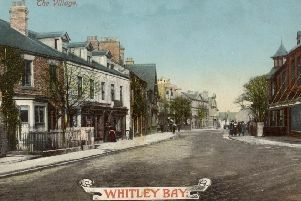 William Arthur Laws first appeared in a Whitley Bay directory in 1897 as a teacher of music and dealer in musical instruments in Station Road.